On July 23, James Hansen and 16 co-authors posted a discussion paper on an open-review website about sea level rise and climate change. The article has garnered massive attention around the internet and scientific communities — both for its content and for the unconventional manner in which it was published. The authors bring special attention to a particular aspect of global climate change that often isn't discussed. Namely, global sea level rise. While many of us discuss the catastrophic impacts of droughts, flooding, and dwindling food supply related to climate change, the authors emphasize that up to 5 meters of sea level rise may happen over the course of 50 years, carrying with it the "economic and social cost of losing functionally all coastal cities…" Seeing as the more conservative IPCC report puts this estimate closer to 1 meter by the year 2100, this news is making an impact. Understanding the James Hansen sea level story requires a little bit of background. First, the importance of climate models. Climate models take known "forcings" — potential drivers of climate change such as the natural elliptical shape of the earth's orbit, man-made greenhouse gas emissions, and surface albedo — to understand the relationship between what we do here on earth now and how it affects our climate. We can then use those relationships to project how our activities in the future will affect our future climate. Simple enough, but there are shortcomings. The predictions rely on our comprehensive understanding of the climate system. But, what about the areas of research that are less well understood? Or even mechanisms that may affect the climate that we haven't yet identified? Hansen and colleagues emphasize a parallel approach. 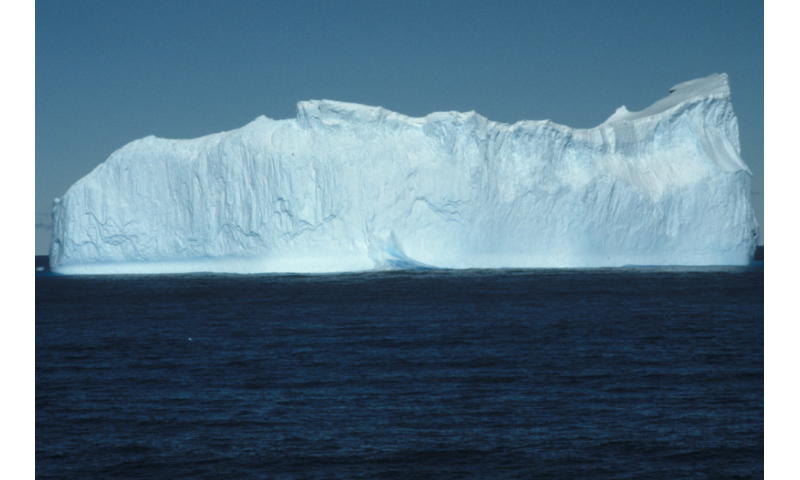 Their approach points to known limitations in ice sheet models and suggests that sea levels may rise more severely and rapidly than current climate models predict. The authors look very carefully at a recent period in the earth's history when the climate was similar to what it is now — the Eemian period (~115,000 years ago). During this time, the earth's temperature was likely less than 1 degree C greater than it is now and atmospheric CO2 levels were ~270 ppm (compared with 400 ppm today). This period also corresponds with notably rapid changes in sea level elevation: up to 1m/century. But why? The authors point to a less well examined feedback loop that could accelerate sea ice melt well beyond our current predictions from models. While the science of modeling ocean currents and interactions between ocean currents and global climate is complicated, the pattern they point to is this: increased sea ice melt can act as an insulator to warmer deep waters and shut down ocean circulation. If deeper ocean waters cannot mix with cooler surface waters this may further accelerate ice melt. When they add these sea ice — ocean current feedbacks into course climate models, and combine them with the massive anthropogenic climate forcings that are abundant today (but were absent during the Eemian), the result is catastrophic. The authors predict a period in the next century when ice melt may cause more than 5 meters of increase in sea levels over the course of as little as 50 years — much greater than the 18–59 cm rise by 2100 predicted by the most recent IPCC report. Further, these changes may be possible with less than a degree of further climate warming. When converted back to carbon emissions, the authors urge a return to the 350 ppm atmospheric carbon dioxide concentrations that we passed several years ago. Recent work by Hansen and colleagues, published in the journal PLOS One in 2013 and contained in the recently updated PLOS Responding to Climate Change Collection, emphasized that earth's energy imbalance (energy inputs — energy outputs associated with the greenhouse effect) is large enough that we will experience further warming of the climate even if atmospheric CO2 is maintained at current levels (400 ppm) — instead atmospheric CO2 levels must be reduced. Without such carbon reductions the authors indicate that the ice melt feedbacks will be unpredictable and will likely have massive effects on coastal areas. If the authors are correct in their predictions, the consequences for planet earth and human societies will be dire. In fact, many have argued that the consequences of climate change are already happening. Saltwater in coastal water supplies leads to water contamination and the need for expensive desalinization plants. Loss of arable coastal lands is worsening the already existing issues of food security and feeding a global population of 7 billion. Warming waters have led to massive mortality events in the Mediterranean, loss of polar bear habitat in the arctic, and the possible extinction of 2–10 freshwater shrimp species. Consequent losses of biodiversity worldwide will likely make the global system even less stable to perturbation in the future. On a personal level, this type of sea level rise would devastate every city I've ever called home. From Seattle to Miami to Brooklyn, NY. The economic losses would be enormous. If lack of political action on greenhouse gas emissions is simply a reflection of a lack of understanding of risk, Hansen's alarm bells may do the trick. Unfortunately, the psychological research indicates that the real barrier to climate change mitigation may be more closely related to our limited cognitive abilities, branding, and preexisting cultural identities. Without having to wonder if Hansen's predictions are correct, there is a direct physics based perspective about sea level rise. We have had 'ice age' cycles every 95 - 125 kyrs (Milankovitch cycle) for 3-4 Myrs. With each, avg global SL changes vertically by over 100 m, and global avg temp varies by about 5 deg C. That 20 meters per degree correlates well with peer reviewed studies (e.g. Archer & Brovkin 2008). Over a long enough period of time to reach new equilibrium (historically millennia) the ice sheets and glaciers change size. Thus the extent of ice cover on land has an inverse relationship with global temp and SL. We have already had one degree of warming. Another degree is essentially unstoppable. "The authors predict a period in the next century when ice melt may cause more than 5 meters of increase in sea levels over the course of as little as 50 years ..."
Five meters in fifty years comes to 100 millimeters per year. The current accepted rate is a little over 3 millimeters per year. Perhaps Big Business needs to put their money where their mouth is. Wall Street could 'float' a 'Sea Level Rise' futures index. Different traders could bet against each other just like they do on Government Bonds. The science would surely improve as big business wants to get its bets right. The paper is 62 pages long. Has anybody actually read it...other than the four pages of "highly dangerous" Implications? It is those four pages, plus the title of the paper that gather attention. The 58 page of science? What was the most compelling evidence? "The authors bring special attention to a particular aspect of global climate change that often isn't discussed. Namely, global sea level rise." Has this author been "off-planet" for a while? We're constantly inundated by cries of "the ocean is rising, and our coastal cities will be destroyed". So what? That's the risk you take when you build next to water. Life goes on. Our rapid rate of Co2 rise is unprecedented in all of history. When sea rose in the past with a high Co2 it was never this rapid it took many centuries to reach that level. So this now will set an unprecedented rate of rapid sea rise. The remaining mangroves are one of our highest abates of Co2, they all drown at a 12mm per year sea rise, this is yet another tipping point.